Today we announced Upstream Works’ expanded partnership with Cisco, as a member of their SolutionsPlus Partner Program. I want to take a moment to highlight the value of this next stage of our Cisco relationship. 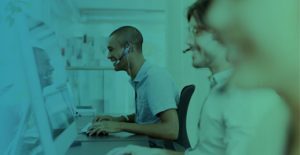 Upstream Works has been a Cisco Preferred Solution Partner for many years, ever since we introduced Upstream Works for Finesse – an omnichannel Single Agent Desktop powering Cisco Contact Centers. With the addition of our products to the SolutionsPlus Partner Program, Cisco’s channel partners and sales teams now have direct access to our contact center solutions – helping them provide full-featured, single-source omnichannel solutions to customers. The strategic partnership is a natural one, given the long-standing relationship between Cisco and Upstream Works, and we’re excited to be leading and innovating together in the customer experience marketplace. We are fully committed to building our business through the strong partnership we’ve developed, jointly delivering transformative, flexible solutions for the contact center market. We continually evaluate and evolve our product and go-to-market strategy to be sure it is in-line with our commitment to long-term success. With the evolving technology landscape and accelerated pace of change in our industry, it is more important than ever to develop strategic partnerships that allow for integrated, effective, and streamlined solutions for customers. To that point, our ability to successfully integrate with other complementary, market-leading solutions in the SolutionsPlus program means that we can provide a complete, enterprise-wide solution for contact centers. With Cisco SolutionsPlus, we are positioned to successfully bring our omnichannel Single Agent Desktop to organizations worldwide, helping them transform the customer experience on a powerful, flexible, and reliable platform while profitably growing their business.